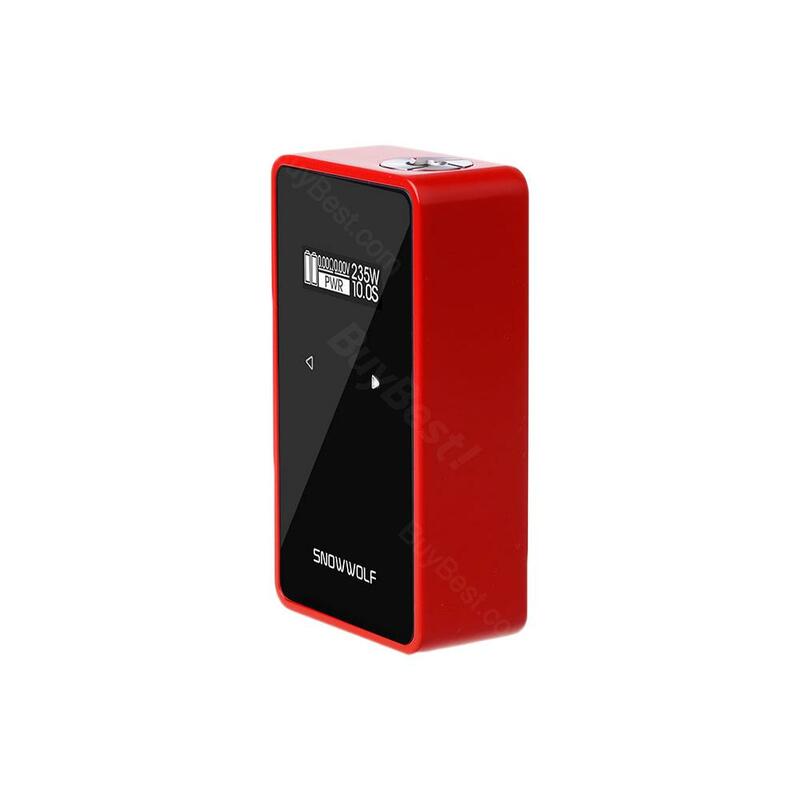 The SNOWWOLF 200W C is a newly designed TC Box MOD with large 0.91-inch OLED touch screen and hidden touch buttons. Powered by dual 18650 batteries, 200W C fires up to 235W max output. The SNOWWOLF 200W C MOD is a truly remarkable vaping device. The SNOWWOLF 200W C MOD is a simple and elegant TC MOD with temperature control mechanics and metal material body. Moreover, SNOWWOLF 200W C features a big 0.91 inch OLED touch screen with hidden touch buttons to make it fashionable and different. What's more, SNOWWOLF 200W Box MOD is powered by dual 18650 batteries with advanced working modes to bring amazing vaping for vapers. Just get one to enjoy! Snow Wolf 200W C MOD is an impressive vaping device. Buybest is a great company where vapers can get what they need! Schnell aufladbar, schönes handling einfach zu bedienen und sieht wirklich klasse aus. SNOWWOLF sieht gut aus.